When did you last do termite inspection? 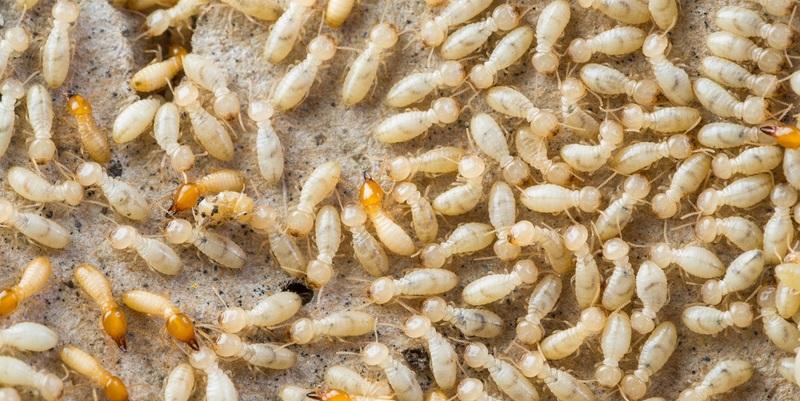 Do you regularly execute termite inspection in your territory? There are many people who do not give importance to termite inspection and services. They keep brushing aside the issues of damages which they happen to find on their household stuffs. People do not come to know that the damage is done by white ants and their house is under threat of the silent-destroying insects. These insects make hollows inside your cellulose materials and in places where moisture is high. Every property owner should make a habit of executing inspection at their place to iron out white ant infestation. To have a regular inspection, you can contact our pest control company to get white ant control Perth solutions at a desirable price. Our inspectors who are trained in spotting out the breeding sites of white ants will inspect the interior and exterior parts of your property to check where the white ants are hidden. * You will notice wet spots which are black in color on the walls where white ants have infested. * Hollow marks which look like holes can be found in the frames of doors, windows and plasterboards. * Whether it is the fixture or any cellulose-containing materials, white ants will invade in such items. Paper objects are the favourite items of white ants. * Long sized mud tunnels are seen in some places in the indoor and outdoor property. White ants live deep inside those mud tunnels. Take up inspection procedure from our pest control company to know more about the infestation signs of white ants. Our pest professionals will give you some handy tips which you can apply on a regular basis. Upon implementing these tips, you will never spot out white ants in your zone. 1. Store pieces of woods far away from your house. All wooden materials should not be placed directly on the ground. 2. Trees and flower pots should not be close to your house. Plant flowers and trees a few distance away from your house. 3. All cellulose-based materials should not have contact with soil. 4. Make sure the temperature of your home is moderate. Exclude damp and moisture from your living zones. * Have timely inspection and treatments from our pest company to stay free from white ants hassles. If white ants are pestering you for a longer period of time, then you should give a ring to our pest company to get relevant white ant treatment Perth measures. The treatment program will make your zone unattractive for the pests. Our treatment program has the capacity to rule out the hassles of white ants in a highly effective way. We use enviro-friendly pesticides, dust treatment, gel treatment and repellents which are designed for white ants. After applying the treatment program, those critters will stay away from the perimeter of your residence.